Summer is almost here, and many of us are thinking about how we can spend more time at the beach or lake. As we lounge in the sun, it’s easy forget the tens of thousands of hardworking men and women who make a living on the water. We, here at The Law Offices of Alex R. Hernandez Jr., PLLC., specialize in Maritime Law, and have attorneys who are ready to represent dock workers, oil rig workers, and harbor workers in the result of a workplace injury. If you or a loved are a seaman or a longshoreman and have been injured on the job, we can help you get the compensation you deserve. 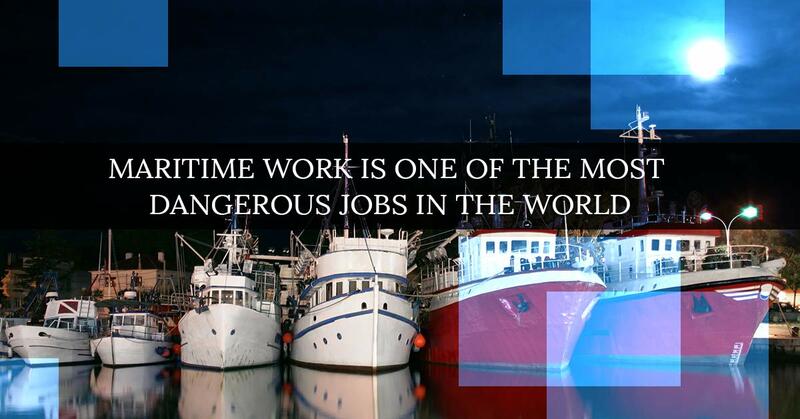 Being a maritime worker is one of the most dangerous jobs in the world. Injuries sustained on or off shore can be serious, life threatening, traumatic, and even fatal. While working in an industry that has obvious potential hazards, it is important to be aware of your rights should you ever find yourself injured on the job. There are two main distinctions within maritime workers: seamen and longshoremen – and each is protected under different legislation. A seaman is an offshore worker who works on, or services, vessels. A seaman can work in any navigable body of water, including lakes and rivers, and can work on fixed platforms or moving vessels. A longshoreman is someone who works onshore or in a harbor, but not in open water. A longshoreman might be a harbor worker, dock worker, or other primarily land-based employee. All jobs have their risks, but seamen and longshoremen work in a particularly dangerous environment. Oil rig workers run the risk of bodily harm due to explosions, dangerous chemicals, or accidents involving heavy machinery. Harbor workers might encounter drowning, electrocution, or falls. The list of potential hazards continues for both seamen and longshoremen. However, precautions can, and should, be taken to keep workers safe. When these safety precautions go ignored, it is vital to know how you are protected. Seamen are protected under the Jones Act, whereas longshoremen are protected under the Longshore and Harbor Workers Compensation Act. Before we even talk about sustaining a personal injury, it is important to know what an employer should already be doing to keep offshore workers safe. This includes providing a “seaworthy” vessel. To be considered seaworthy, a vessel must have an adequate and properly trained crew, be in good condition to withstand hazardous waters, have proper safety gear and equipment on board, and have safety practices and routines in place. Under the Jones Act, an offshore worker who is injured on the job can present a claim if they can prove their employer failed to provide a seaworthy vessel. Under the Jones Act, you are entitled to living expenses for the duration of time that your injury prevents you from working, and are also entitled to receive free medical care. If you are the spouse or dependent of a seaman who lost their life due to a workplace fatality, you are entitled to a monthly settlement for loss of income. The Longshore and Harbor Workers Compensation Act (LHWCA) provides protection for most maritime workers who are not covered by the Jones Act. The LHWCA is similar to the Jones Act in that it helps workers to gain rightful compensation if they suffer a personal injury on the job. However, while the under the Jones Act workers are entitled to full compensation for lost wages, the LHWCA only protects workers for up to two-thirds of their established weekly wages. Another important difference to note is that Jones Act benefits are liability-based, LHWCA benefits are based on the nature of the injury. If you are confused about whether you are protected under the Longshore and Harbor Workers Compensation Act or the Jones Act, contact your personal injury lawyer today. We know the emotional turmoil that suffering a debilitating workplace injury or losing a loved one can cause. Let us at The Law Offices of Alex R. Hernandez Jr., PLLC. help build a strong case for you by examining any incidents of employer negligence, including lack of training, not implementing safety regulations, or having insufficient equipment. Like the ocean during a storm, maritime law can be difficult to navigate. Make sure you have a trusted and trained maritime lawyer on your side. Know, understand, and implement all safety ordinances. Be familiar with emergency evacuation plans, wear proper safety equipment at all times, and stay educated on safe practices. Don’t cut corners. Make sure that all necessary steps are taken when completing a job. Don’t take shortcuts or cut corners to get a job done faster. The safest way to do a job is to do it properly. If you see something, say something. If a coworker is engaging in unsafe practices, approach them or your foreman to make sure that everyone is following protocol. If your managers are not enforcing safety regulations, contact a maritime lawyer at The Law Offices of Alex R. Hernandez Jr., PLLC. to see how we can help ensure you are in a safe work environment. If you are a maritime worker who has been injured on the job in either an onshore or offshore accident, or you feel your employer is not providing a safe work environment, contact a maritime lawyer at The Law Offices of Alex R. Hernandez Jr., PLLC. immediately to find out how we can help. When you are injured and unable to work, early investigation is key. We want to help you get your case settled quickly, and get you the compensation you deserve.